For most seniors, proper nutrition is a necessity. We simply have to take care of ourselves. 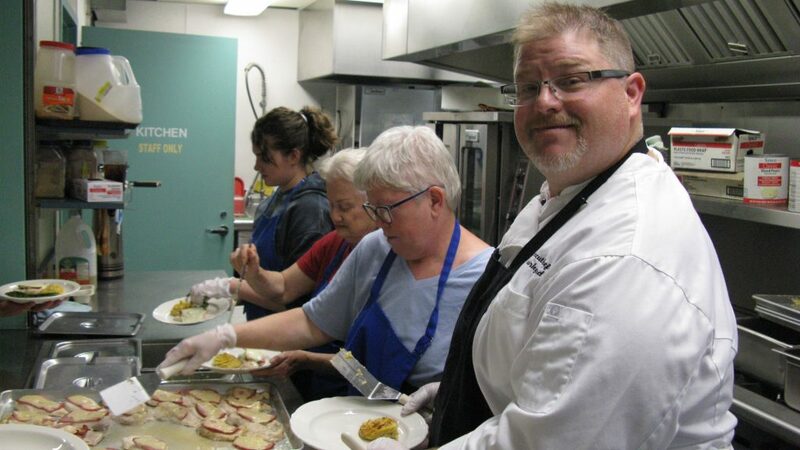 At the Canby Adult Center we provide several services that cater to the proper nutrition of those we serve. The Canby Adult Center dining room is open every weekday – Monday, Wednesday, Thursday and Friday. We serve a hot, sit-down meal, so diners are asked to be seated by noon. 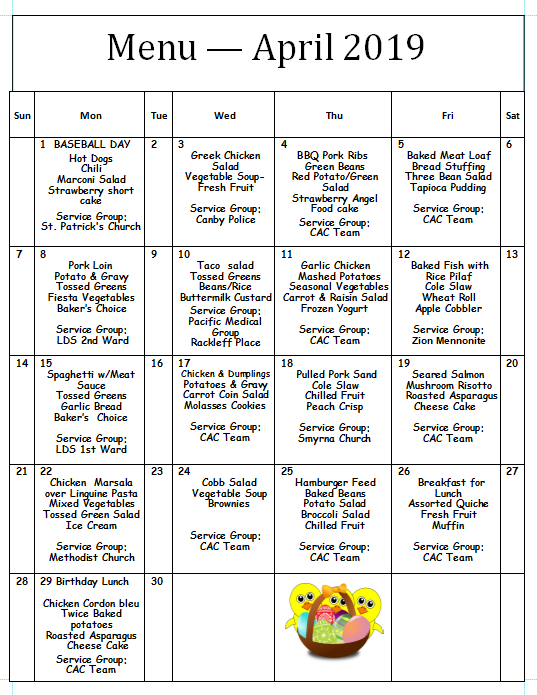 Center meals are varied, from soup and salad days to pork roast complete with mashed potatoes and gravy. We celebrate holidays and other special occasions with exceptional menus. We often host live music during lunch; check our monthly calendar for details. A donation of $3.50 is suggested for those who are able to contribute, but any amount is greatly appreciated. No one will ever be refused service because of inability to pay. The dining room meal, and all other services, are intended for older adults who are mentally and physically able to move around the Center, and to take care of all personal needs independently. Those who need one on one assistance are welcome to come with a caregiver; we regret that we are unable to provide personal physical assistance. Volunteer drivers deliver meals to those who are homebound four days a week; meals may be provided to cover a full seven-day week when needed. Upon receiving a request for home delivered meals, the service is generally started within 48 hours if the client meets general eligibility criteria. Within two weeks, a Center employee will visit the new client in their home to determine if they are fully eligible to receive meals at home, or whether they would benefit from coming in to the Center to have lunch, and take advantage of the other activities and services on offer.